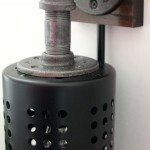 Welcome back to another 12 Months of DIY! 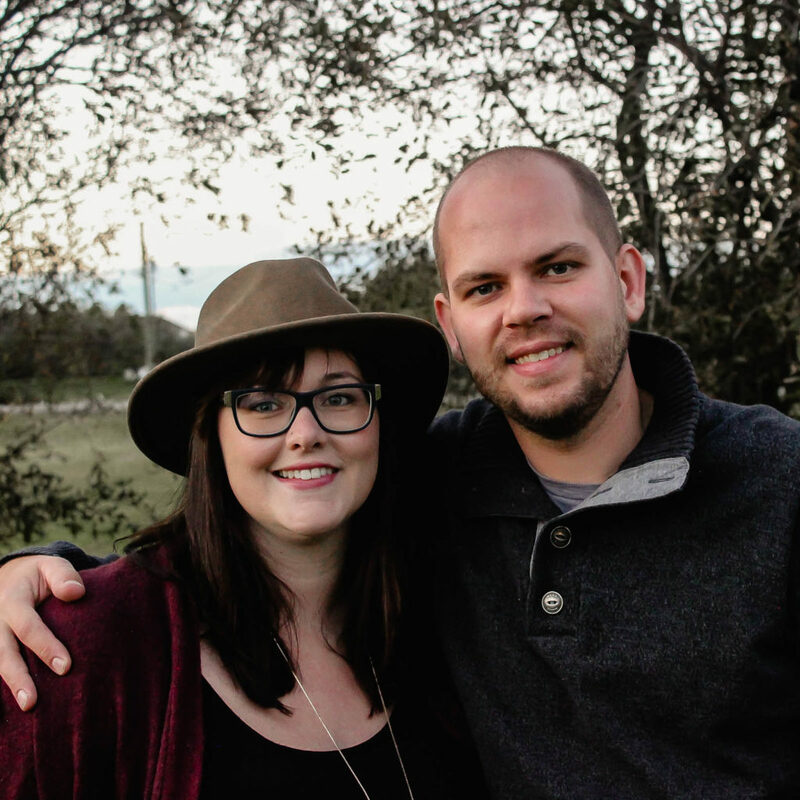 Can you believe that this is the second last month of our series?! I can’t believe it’s almost done! 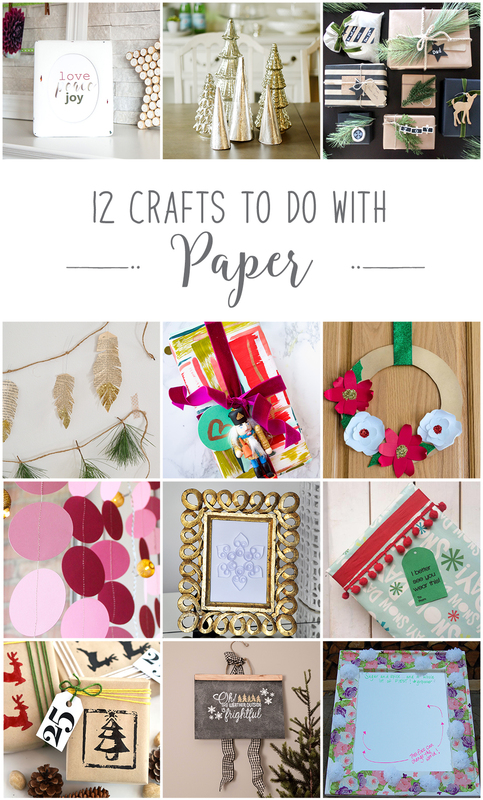 But we still have a couple of great projects left, including this month’s paper projects. 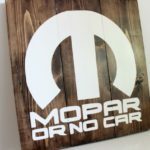 I have done some fun paper projects in the past, like my Rustic Wood Sign, but this month I wanted to use paper in a simple way. 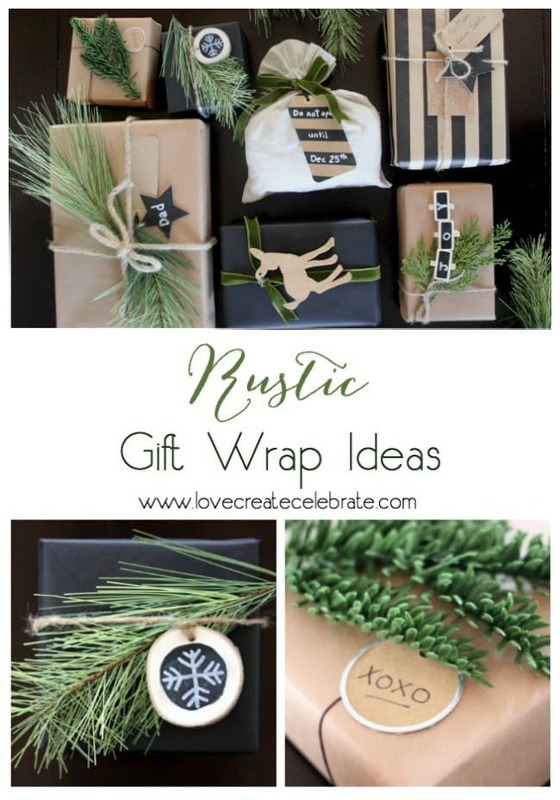 With Christmas around the corner, I thought it would be fun to share some rustic gift wrap ideas. I LOVE unique gift wrapping. It often just sits under my Christmas tree for two months as decor. 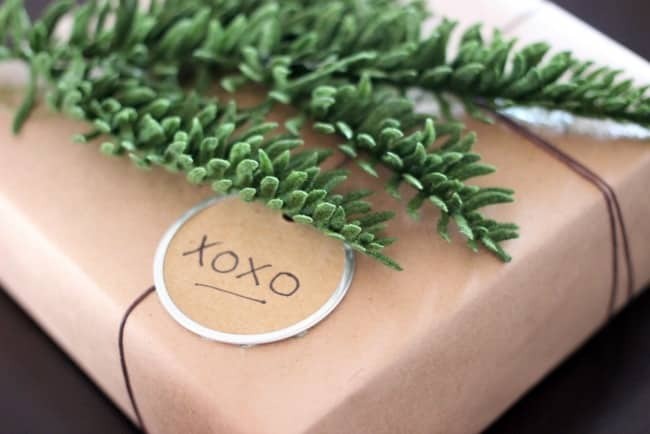 This Christmas I plan to incorporate a lot of natural elements in my decor, like wood and greenery, so I figured it would be a great idea to incorporate those elements into my wrapping as well! 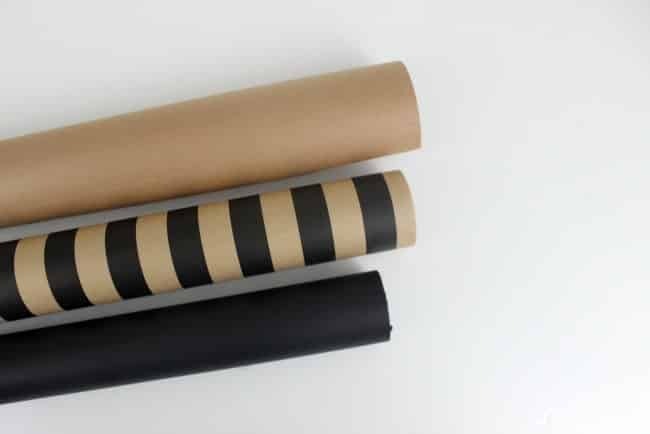 The three paper rolls above are ones that I bought at my local Michael’s store. 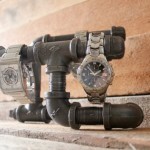 I tried to get creative by gathering some creative rustic elements from around my home. 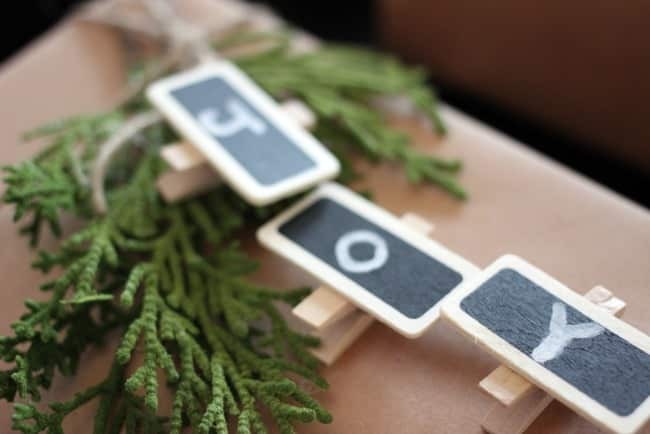 Starting with a few little chalkboard clothespins from the dollar store! 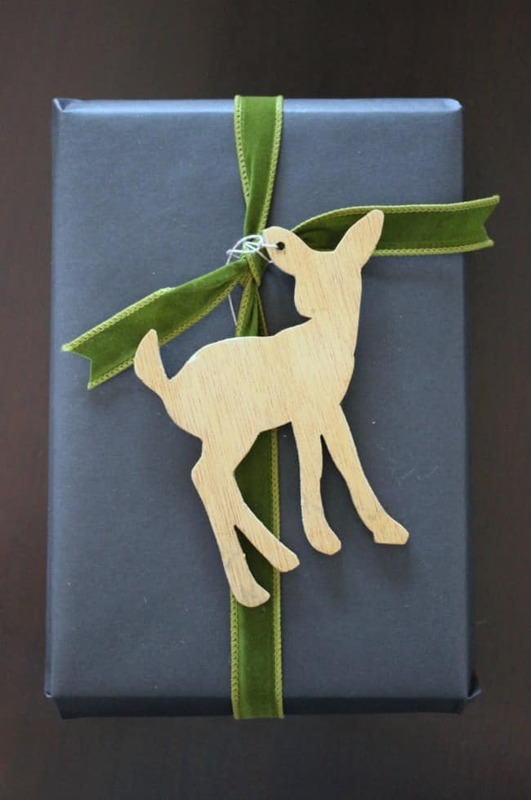 This beautiful deer was cut out in my scroll saw, just the same way this one was! 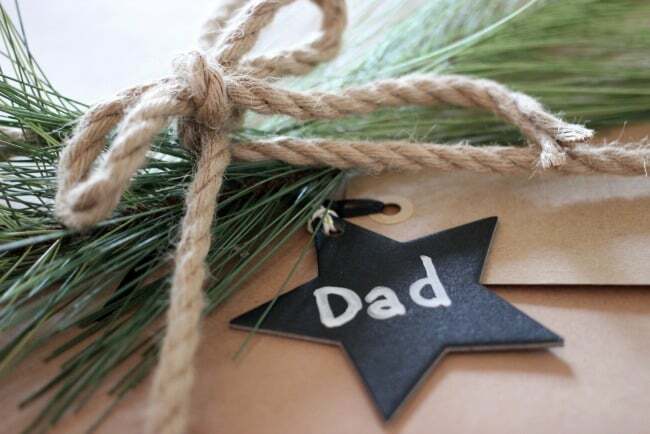 I love the addition of the chalkboard to these otherwise neutral gifts. 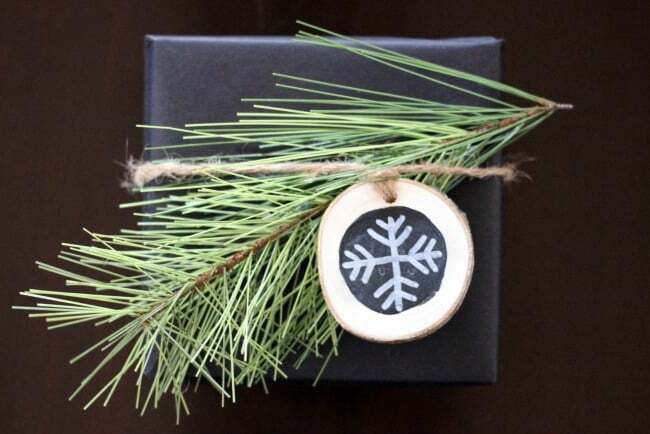 I shared a tutorial last year for these little wood slice gift tags. I still use these all the time! 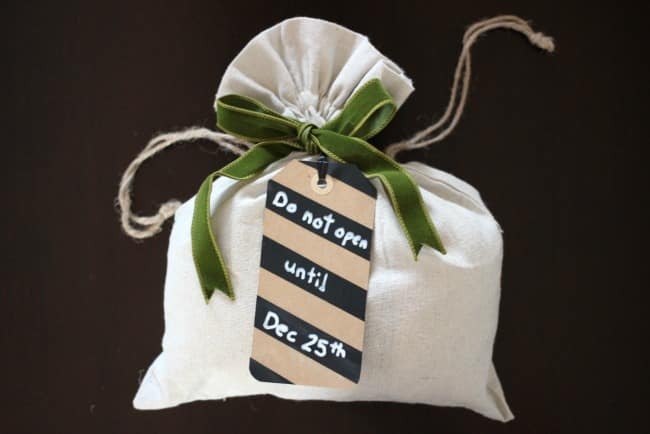 I’m also quite certain that you are going to find a few of these simple metal ringed tags around my home tour this Christmas! I can’t get enough of them! What do you think? 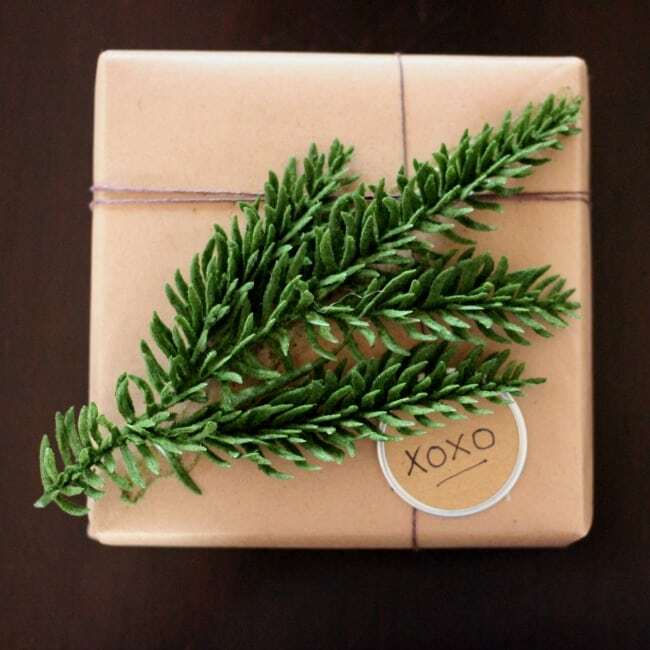 Is rustic gift wrap your style?! 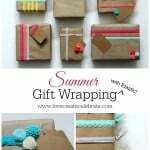 Last year, I shared some Burlap Gift Wrap ideas. Don’t forget to check out those amazing packages too! 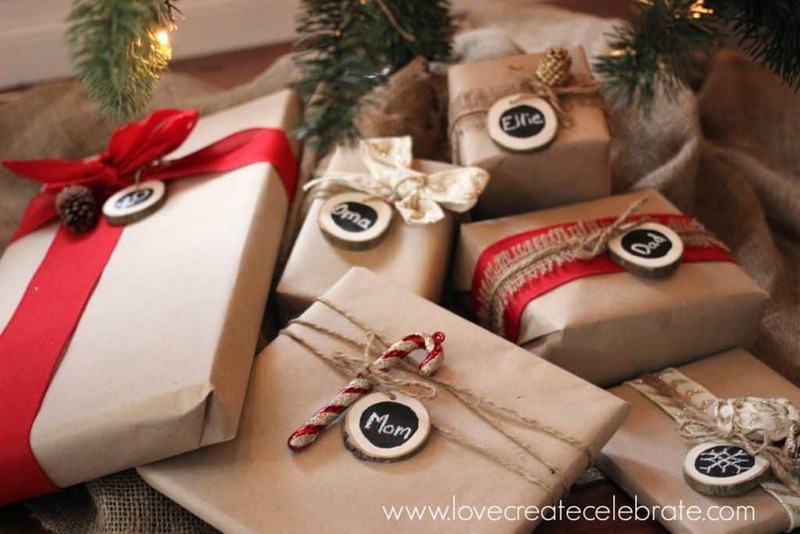 This is so my style, I absolutely love it, what beautifully wrapped gifts for under the tree! This is so perfectly pretty! you’ve inspired me to step up my gift wrap game this year – usually it’s a mish mash of leftover bags…ugh. 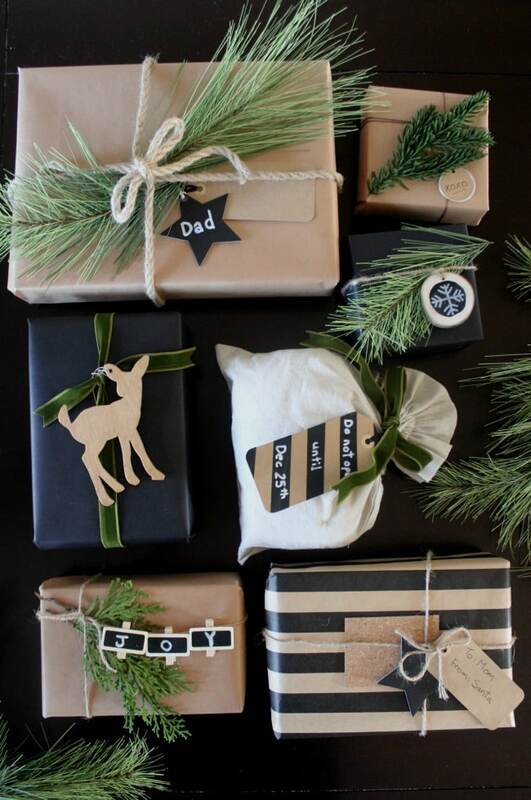 Such creative wrapping ideas! 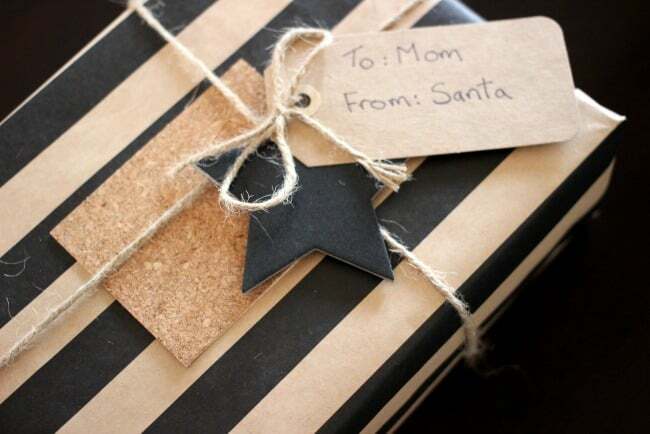 It is amazing what you did with brown kraft paper and a combination of natural and man-made accessories! Love your style! Awww, thank you Thea! You’re such a sweetheart! Lindi these are so pretty. Love your colours and all the natural elements. I think my fav is the little deer, so cute! That’s my fave too! 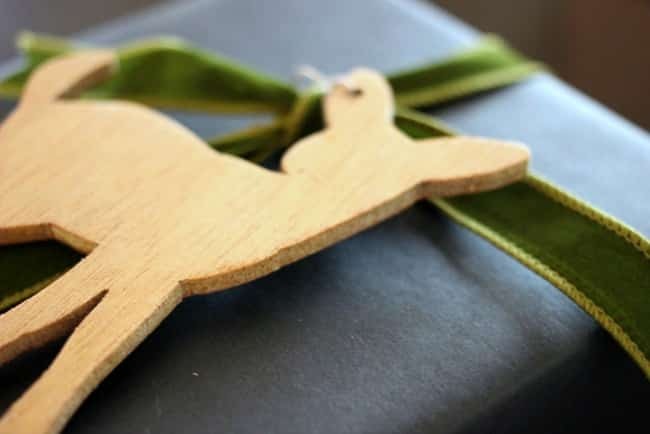 I LOVE that little wooden deer! 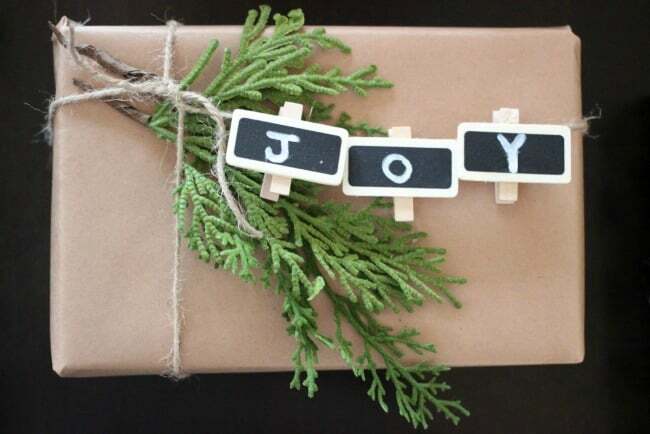 Loving these gift wrap ideas using all these natural and earthy elements. Just perfect! 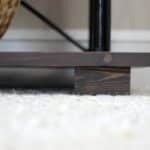 Hello Lindi, I liked your blog as this is something unique. I never read these kinds of tips before. 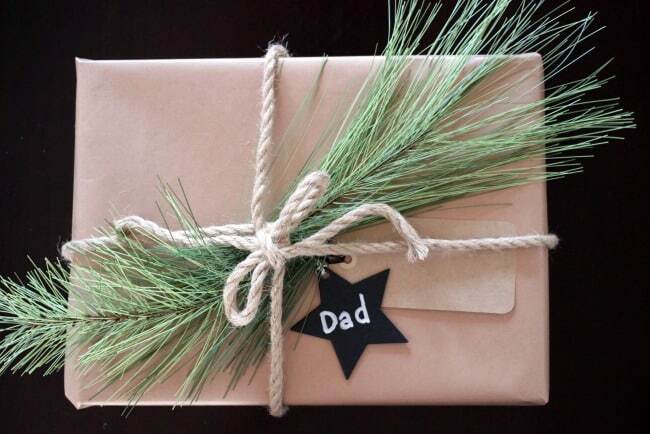 A gift is incomplete without its proper wrapping. I will use all your tips for sure. 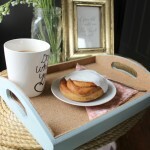 Thanks for sharing such a lovely blog. Hi, these are so beautiful. I was wondering if you could tell me where you got that white cloth drawstring bag? Thank you so much! I’m actually not sure where I got it! I may have gotten it as a gift from someone else first, lol. I’ll post if I find one online for you! 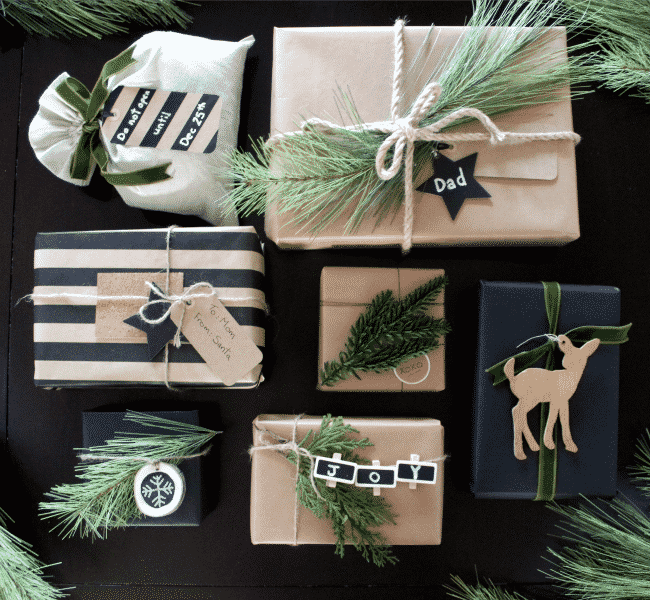 Pingback: 12 Best DIY Gift Wrapping Ideas and Hacks for ANY Holiday!